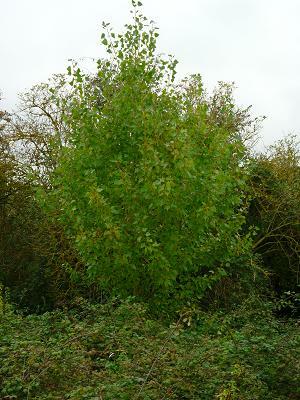 The black poplar tree (Populus nigra betulifolia) is now thought to be Britain's most endangered native timber tree, and has been in decline for the past 200 years. A thousand years ago it thrived across the lowland floodplains of the British countryside. It was once such a common sight that it features in many classic paintings of the British countryside, including John Constable's The Haywain. Black poplars were commonly planted near farms and developing villages as they were considered so useful for building and scaffolding. The shaped lower branches were especially prized for frames, and the toughness and straightness of the young pollard branches made the tree prized by fletchers. Indeed it is said that arrows from the recently excavated ‘Mary Rose’ originated from Huntingdonshire black poplars. 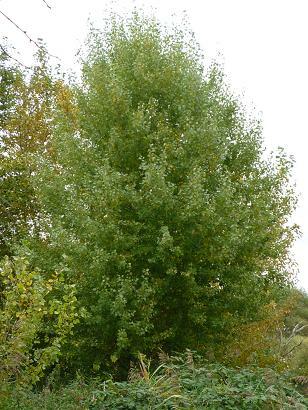 There are so few wild black poplars left in the country that it is unlikely that they will pollinate each other, instead the large numbers of cultivated trees will pollinate them. This means that there are hardly ever any new truly wild black poplars. Over half of the remaining 7000 trees identified in a recent survey are situated in the Vale of Aylesbury in Buckinghamshire. The ratio of male to female trees is estimated at 10:1. The species is dioecious - that is, male and female flowers on different plants - with flowers in catkins and pollination by wind. Here in Huntingdonshire only 40 mature trees are known to survive, most of which are male. Many trees are old and in decline, therefore action is needed to secure the survival of this tree. As part of St Neots Town Council's ‘Plant a Millennium Tree’ project both male and female black poplars were planted in the Pightle in 2000 from ‘whipps’. Whilst the two female trees grew quite slowly at first, all are becoming well established and are thriving. 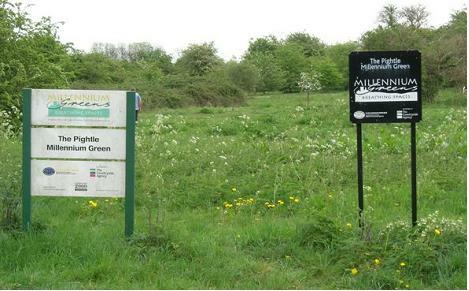 In late 2013, twelve male and twelve female pollards were taken; some of these will be grown locally but the majority have gone to help the restoration of a quarry site at Bluntisham. It is hoped that in future years these four trees will pollinate together and that more cuttings can be taken from these trees in The Pightle to help halt this majestic tree's decline and rejuvenate it once again.